So, let’s see. We’re getting 1) more transparent financial products; 2) better banking service; and 3) a boost to B of A’s bottom line. How could Congress have done this to us?! Yet, as I’ve long argued, there is nothing wrong with that. If my bank wants to charge me for a service that I am receiving — credit card usage, paper statements, a low-balance checking account — why would I be upset? Just clearly tell me what the price of the service is, and then I’ll make a decision about whether or not I want to buy it. Old-fashioned, I know, but still so beautiful. I understand that many people continue to feel the effects of the recession, and that the idea of paying more for anything right now is a painful one. But, in the long run, it only seems fair that people pay for the services they get. My problem with credit and debit cards has never really been with the overall cost of the cards. 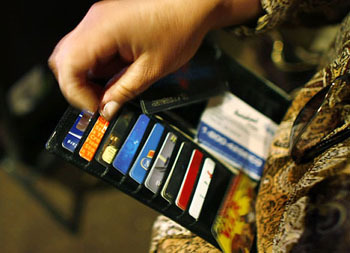 It’s a business, and banks and card networks should make money on it. What I object to is the evolution of the card industry over the past couple of decades, from one in which fees were open and fair and interest rates were relatively transparent, to one in which fees were hidden and penalties were increasingly targeted at those least able to bear them. (But also least likely to have the political clout to complain about them effectively.) The new fees will seem worse because you can see them, but they’re almost certain to be less than the hidden fees you’re paying now. What’s more, they provide you with a better ability to decide whether you want various credit card products in the first place. That’s the whole point of a Hayekian price signal, after all, but it doesn’t work very well if consumers don’t really know what price they’re paying in the first place. Plus there’s the fact that the rich will be getting less in the way of truly revolting subsidies from the poor in the credit/debit market. That’s nice too.